Click here to sign up for construction updates. Click here to view the Planned Development Statements. Click here to view the Planned Development Exhibit: Public Way Infrastructure Improvements and Traffic Demand Management Requirements. Click here to view the Planned Development Bulk Table. Click here to review the Chicago Department of Transportation’s statement regarding the loading dock. 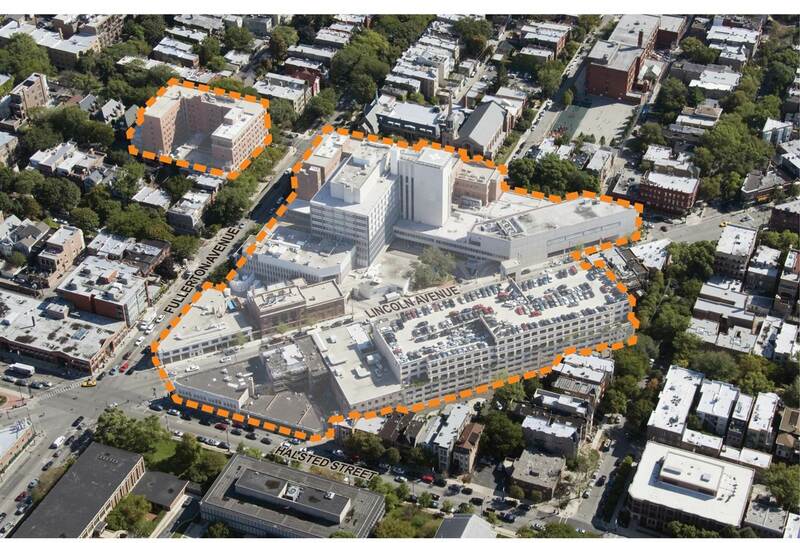 Click here to view the list of refinements for the Children’s Memorial Hospital Redevelopment. Click here to view McCaffery Interests’ 2014 plan. Click here to view a PDF of the economic impact study. Click here to see a comparison of the two plans prepared by McCaffery Interests. Click here to view a summary and details of the transportation study, drafted by KLOA. Click here to view a animated walk-through of the projects pedestrian areas. Click here to review the shadow study from McCaffery. Click here to read my statement on the previous proposal for Children’s Memorial Hospital. Click here to read Wrightwood Neighbors Association’s July 16, 2012 letter and McCaffery Interests’ response. Click here to read Sheffield Neighborhood Association’s August 14, 2012 letter and McCaffery Interests’ response. Click here to read Commissioner Mooney’s letter to McCaffery Interests sent August 15, 2012. Click here to read my CMH Redevlopment letter to McCaffery Interests sent Monday, August 27, 2012. Click here to see Institutional Planned Development No. 158 filed by McCaffery Interests on July 18, 2012. Click here to see the Traffic Study commissioned by Children’s Memorial Hospital on August 23, 2011. Click here for the Community Relations Committee’s FAQ sheet with information about the decommissioning of Children’s Memorial Hospital and the parking garage plans. Click here to see McCaffery’s CMH Community Presentation from the July 26, 2012 Town Hall Meeting. For those of you who missed the July 26th Town Hall Meeting or want to re-watch it you can view a video at http://www.youtube.com/watch?v=rkakxQJtW_4. Click here to view the CMH Redevelopment Truck Noise Study. Click here for videos of the entire town hall meeting. Click here to view a PDF of the presentation given at the meeting. Click here to view a PDF of the presentation I gave at the meeting. Click here to view segments of the recorded town hall meeting. Click here to view the Process Timeline. Click here to view Children’s Memorial Hospital’s presentation. Click here to view the Lincoln Park Chamber of Commerce’s presentation. Click here to view the McCaffery’s Interests presentation. Click here to to view the US Equities Presentation. Click here to view a PDF of the economic impact study done at the request of Children’s Memorial Hospital. Click here to view the HOK study.